Beginning on December 13, 2010, Judith L. Pasewark, Administrative Law Judge (ALJ) from the Office of Administrative Hearings, Special Education Division (OAH) presided at the due process hearing in this case. At the hearing, Jonathan Read, Esq., represented Encinitas Unified School District (District). Maria Waskin, the Director of Pupil Services, attended the hearing on behalf of the District. Eric Freedus, Esq., represented Student (Student). Student’s mother (Mother) attended the hearing on behalf of Student. The District filed its Request for Due Process Hearing (complaint) on July 2, 2010. On July 19, 2010, pursuant to a stipulated request for continuance, OAH continued the initial hearing date. Subsequently, on November 2, 2010, OAH again continued the matter at the request of the parties, to December 13, 2010. The hearing commenced on December 13, 2010, and continued on December 14, 15, and 16, 2010. The parties completed their presentation of testimony on December 16, 2010, and were requested to submit written closing briefs by close of business on January 10, 2011. Upon receipt of the closing briefs, the matter was submitted and the record closed on January 11, 2011. Pursuant to an ALJ order issued during the hearing, the District was allowed to submit a Reply to Student’s closing brief on January 12, 2011, regarding clarification of the IEP transcript only. The District contends that it offered Student a FAPE in the LRE at the May 10, 2010 IEP meeting. Further, the District’s offer was made by credentialed, licensed, and experienced educators who recommended a placement that would enable Student to make educational progress and provide him a typical school experience with access to general education and peer interaction. 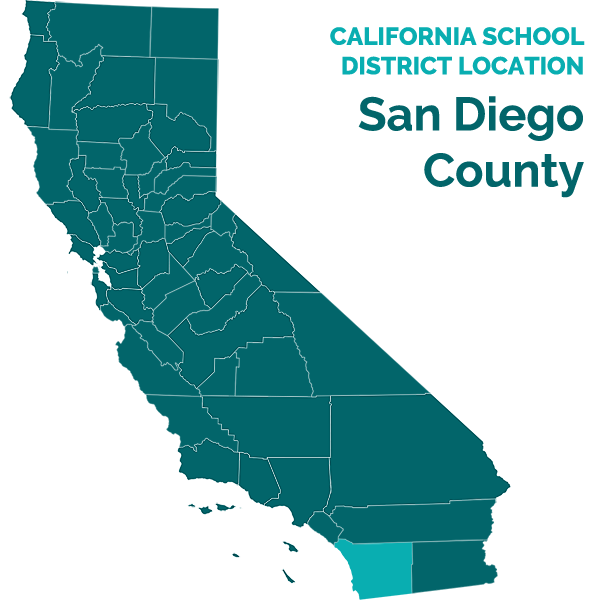 Student claims that placement at The Institute for Effective Education (TIEE), a nonpublic school in San Diego, California, is the only appropriate placement for Student. In order to support this assertion, Student points out several defects in the District’s IEP, which Student contends represent a denial of FAPE. Specifically, Student contends that (1) Mother was denied meaningful participation in the IEP process; (2) the District failed to administer a Deaf and Hard of Hearing assessment, thereby failing to provide current information regarding Student’s present levels of performance; (3) the goals in the IEP were inappropriate, vague, and unmeasurable; and (4) the IEP failed to adequately address Student’s feeding issue. While the May 10 IEP is flawed, it does not rise to the level of denial of FAPE. 1. Student is a nine-year-old boy who qualifies for special education and related services under the primary disability of Speech and Language Impairment (SLI) and secondary disability of Deaf and Hard of Hearing (DHH). Student has a mild to moderate bilateral hearing loss and has worn bilateral hearing aides since kindergarten. When wearing his hearing aides, Student’s hearing is within the normal range. 2. For the 2008-2009 school year, the District placed Student in a general education first grade classroom with resource support for part of the day and speech and language services. He also received DHH support. This placement did not work well for Student, and in July 2009, at Parents’ request, the District agreed to place Student in TIEE for the 2009 extended school year (ESY). Subsequently, in August 2009, at Student’s annual IEP meeting, the District offered Student placement in a special day class (SDC) at a District elementary school. Parents did not consent to this placement. They notified the District that Student would remain at TIEE, and they would seek reimbursement for this placement. Student attended the second grade at TIEE for the 2009-2010 school year pursuant to a settlement agreement between the parties. 1 Student’s second issue regarding whether Student was entitled to reimbursement for private placement was stricken from the complaint at the pre-hearing conference, as Student has made no affirmative requests for reimbursement. 3. On May 10, 2010, the District held an IEP meeting to determine Student’s placement and services for the 2010-2011 school year. The May 10 IEP offered Student, placement in a SDC at Flora Vista Elementary School (Flora Vista). The placement also provided that, for 25% of his school day, Student would be mainstreamed in non-academic activities with his typical peers. The IEP contained 13 goals which addressed his areas of need. The IEP provided for 120 minutes per week of group speech and language therapy; 600 minutes per year of individual occupational therapy (OT) sessions; 300 minutes per year of OT consultations; and 300 minutes per year of DHH consultations. Both OT and speech and language sessions would also be provided during the ESY. 4. Mother did not consent to the IEP and informed the District that Student would remain at TIEE for the 2010-2011 school year, and Parents would again seek reimbursement for his educational placement. The District, in turn, filed this complaint requesting that the May 10, 2010 IEP developed as Student’s educational plan for the 20102011 school year be deemed a FAPE. Did the May 10 IEP offer Student a FAPE? 5. Assessments are used to assist in determining eligibility for special education and related services and to assist the IEP team in making recommendations for a student’s IEP. A student must be reassessed at least every three years. 6. The District desired to reassess Student as part of his triennial IEP. This met with extreme resistance from Mother and her educational advocate, Dr. Sara Frampton,2 as evidenced by a series of letters and emails between the parties and their attorneys. Ultimately, the parties agreed upon an assessment plan, and the District reassessed Student, subject to time constraints and limited access to Student. 7. The District conducted a multidisciplinary evaluation which included a psychoeducational assessment, speech and language assessment, and occupational therapy (OT) assessment. The District also sought input from the DHH specialist and district nurse, as well as from his current educational team at TIEE, his private service providers, and his Mother. At the IEP meeting, the assessment results were discussed, and no objections were raised regarding staff qualifications, validity of the testing materials, or assessment scoring and results. Student’s scores were consistent information obtained from TIEE and with private assessments obtained in 2009. 2 Sara Frampton is a licensed educational psychologist and marriage, family therapist. She has a B.A. in psychology, M. Ed. in special education, M.S. in counseling, and Ph.D. in psychology. She has experience as a special education classroom teacher, resource specialist, and school psychologist. 8. Melissa Dawson,3 the school psychologist, conducted the psychoeducational assessments. Ms. Dawson administered the Behavior Assessment System for Children-2 (BASC-2), the Connors-3 Short Form (parent and teacher rating forms), the Adaptive Behavior Assessment System, Second Edition (ABAS-2), and the Wechsler Intelligence Scale for Children, Fourth Edition (WISC-IV). Additionally, Ms. Dawson reviewed Student’s records and prior assessments, observed Student, and interviewed Mother and Dr. Frampton. 9. Both Mother and Student’s teacher completed the BASC-2 and Conners-3 rating scales, which measured Student’s behavioral functioning and social skills. Comparatively, their scorings of Student were closely aligned. Student’s scores indicate that hyperactivity, impulsivity, anxiety, functional communication, inattention, learning problems and executive functioning are areas of concern both at home and at school. Scores obtained on the ABAS-2 from the teacher indicate that Student’s functional and independent skills are in the average range. Mother’s scores indicate delays in conceptual and practical skills. 10. Student’s scores on the WISC-IV showed a statistically significant discrepancy between his verbal comprehension and perceptual reasoning composite scores. Given Student’s hearing loss and speech and language delay, the perceptual reasoning scores are considered a more valid estimate of Student’s cognitive ability and learning potential. Student’s nonverbal cognitive abilities continue to be at least within the average range, which is generally consistent with his prior assessments. Student’s delays in vocabulary impact his verbal reasoning skills. 11. Ms. Dawson concluded that, overall, Student has made nice growth in his ability to use language for reasoning and problem solving. While Student has met or made progress on his IEP goals at TIEE, he continues to demonstrate delays in academics, communication and attention. 12. Information obtained from TIEE indicate that Student has earned grades of “A’s” and “B’s” in all academic subjects, with citizenship grades ranging from “satisfactory” to “excellent.” His teacher reported that Student is very friendly and active. He enjoys sharing his academic and social achievements in his classes and often praises other students. Student also enjoys physical activities and playing with friends. 3 Ms. Dawson has a B.A. in psychology and M.S. in school psychology. She has been a licensed educational psychologist for 15 years. She is employed by the District, and her duties include administration of psychoeducational assessments to elementary and preschoolage children; training and supervision of interns; parent and staff consultation; participation in IEP meetings; and development and implementation of behavior support plans. 13. Ms. Dawson observed Student in his reading class at TIEE. Based upon her observation, she concluded that Student is pleasant, polite, and cooperative. He interacts appropriately with adults and is capable of on-task and appropriate behaviors during 1:1 adult-directed activities; however, Student requires breaks, encouragement, praise and verbal redirection to sustain attention and efforts to task. 14. Marcy Smith,4 conducted Student’s speech and language assessment for the District, and prepared a written report which was reviewed at the May 10 IEP. Ms. Smith administered the Goldman Fristoe 2 Test of Articulation (GFTOA-2), the Oral Facial Examination (Shipley and McAfee, 2004), the Clinical Evaluation of Language Fundamental (CELF-4), and the Vocabulary Test, Second Edition (EVT-2). 15. Ms. Smith also reviewed a 2009 assessment report prepared by Cameron Roberts,5 and she consulted Ms. Roberts prior to the IEP meeting to compare and discuss their findings. Ms. Roberts, who testified at the hearing, reviewed Ms. Smith’s report, and found it to be adequate. She indicated, however, that her 2009 assessment was more extensive, and the results were still valid. Ultimately, the findings of both reports are similar. 16. As better explained by Ms. Roberts, Student has severely impaired receptive and expressive language, severely impaired auditory processing of language, and moderate apraxia of speech. As a result, he has difficulty processing verbal language without a visual prompt or cue in order to follow directions, answer questions, and understand or process narrative length information. Expressively, Student exhibits difficulty with syntax, morphology, vocabulary development and word retrieval. Student’s speech production is impaired and his speech unintelligible to an unfamiliar listener or in an unknown context, 70% of the time. Both Ms. Smith and Ms. Roberts recommended 120 minutes per week of speech and language services, which was adopted in the May 10, 2010 IEP. Student did not raise any issues regarding speech and language services. 17. As part of the District’s speech and language assessment, Ms. Smith conducted an oral mechanism exam, which tests the function of the lips, tongue and palate. Ms. Smith reported that her findings were consistent with those reported by Ms. Roberts. Both reports indicate that Student has reduced muscle strength due to oral motor defects associated with BOR Syndrome. Ms. Roberts indicated that this disorder cannot be corrected or brought to age level, but increased growth in the area can be attained. 5 Cameron Roberts has a M.A. in speech and language pathology and is a licensed speech and language pathologist. She also maintains a Certificate of Clinical Competence in speech and language pathology. 18. Ms. Roberts recommended that Student have several small meals a day in order to take in the calories required by his medically prescribed diet. While at school Student should be given frequent breaks to have snacks and have additional time for snacks and lunch to ensure he has enough time to complete his meals. She also recommended he have snacks available to him at his desk. In 2009, Ms. Roberts reported that Student had difficulty tolerating many foods, and required verbal prompts to continue chewing and swallowing. In 2010, Ms. Smith observed Student eating a nutrition bar during the assessment, in which he demonstrated good bolus formation and control and exhibited no difficulty or delay in chewing or swallowing. 19. Patricia Castellan, a licensed occupational therapist (OTR) provided Student’s OT assessment and report. At several points in her report, Ms. Castellan emphasized the role of school-based OT as an educationally related service. As a designated instructional service (DIS) OT supports goals written to address identified educational needs. Services are based on educational need, not strictly whether the child would benefit in some way from OT. OT is not intended to maximize skill level, but rather to develop the foundations necessary for the child to benefit from his IEP. 20. The information for this assessment report was obtained through a review of Student’s records, clinical observations, and interviews with the classroom teacher, school staff and Mother. Ms. Castellan administered the Developmental Test of Visual Perception, Second Edition (DTVP-2), the Berry-Buktenica Developmental Test of Visual Motor Integration 5 th (VMI), the Sensory Profile-School Companion, and the Short Sensory Profile. She also conducted an ocular motor skills screening to observe Student’s ability to use both eyes together in a coordinated fashion. Upon completion of the assessment, Ms. Castellan concluded that Student had below average scores in motor coordination, spatial relations, and form constancy. Student scored in the low average to below average range in visual motor integration, which may contribute to his difficulties with written output. When completing written work, Student writes with inconsistent formation, sizing, spacing and line orientation. In regards to sensory processing, Student exhibits challenges in processing visual, vestibular, proprioceptive and tactile information. Based upon her conclusions, Ms. Castellan recommended that school-based OT services, both direct and consultative, be provided to support Student with written language and classroom participation affected by underlying sensory processing difficulties. The IEP team adopted Ms. Castellan’s recommendation of 600 minutes per year of direct OT services, and 300 minutes per year of OT consultation. Student did not raise any issues regarding OT services. 21. Ms. Castellan also addressed Student’s feeding difficulties by looking at OT concerns, such as sensory processing and motor skills. Ms. Castellan, reviewed prior assessments, including Ms. Roberts’ report, observed Student eating lunch, provided Mother with a questionnaire, and interviewed both Mother and Student’s teacher. In her report, Ms. Castellan reported that Student is monitored during lunch at school. His teacher reported that Student resists eating and hides food; however, Student has behavior incentives in place to finish his lunch. Mother’s answers indicated that Student needs encouragement and observation while eating for safety and to ensure he is getting all the calories he needs. In her observation at TIEE during lunch, Ms. Castellan noted that the teacher sat next to Student for about 10 minutes, and prompted and encouraged him to eat his sandwich once. All in all, it took Student 25 minutes to eat his sandwich and drink one-half of his milk. Student was able to manage the food in his mouth without difficulty. Ms. Castellan concluded that Student continues to require supervision at meal times to ensure that he eats the proper amount of food. Although Student is able to eat all foods, those which require more oral manipulation and chewing appear to be more difficult for him. Student’s oral structures, i.e., his small lower jaw and misaligned teeth, appear to significantly contribute to his eating difficulties. When questioned at hearing, Ms. Castellan indicated she believed Student’s eating issue was behavioral, and not really an OT issue or physical inability to eat. 22. Though no objections were raised at the IEP meeting, at hearing, Student objected to the District’s failure to obtain a DHH or audiologic reassessment. The assessment plan did not include any DHH assessments, nor is there any evidence that Mother requested an audiologic assessment. To the contrary, as previously reported, the correspondence between the parties in April 2010, indicate that Mother did not wish to have Student reassessed. 23. Dale Whitcomb,6 provided a written report dated May 6, 2010, on Student’s DHH status. Ms. Whitcomb, now retired, was employed as a DHH itinerant specialist, which is a consultative position in which she provided support to DHH student and staff. Although Ms. Whitcomb’s report is entitled “Individual Summary of Assessment,” Ms. Whitcomb did not reassess Student, and instead relied on a review of his records, including a prior diagnostic review, dated May 19, 2009, and an audiologic assessment report dated May 9, 2009, from Oralingua School for the Hearing Impaired,7 which was provided by Mother. Ms. Whitcomb testified that she did not reassess Student because the prior reports were still valid at the time of the May 10 IEP meeting. Student’s partial transcript of the IEP meeting indicates that Ms. Whitcomb discussed Student’s hearing deficits and responded in detail to Dr. Frampton’s question regarding accommodations and teaching strategies. Ms. Whitcomb left the IEP meeting upon completing her report. 24. Ms. Whitcomb’s one-page report contains the same information as the previous Oralingua report. “Student’s medical history includes BOR syndrome and recurrent otitis media with pressure equalizing (PE) tubes. His hearing loss has fluctuated since the initial diagnosis in January 2004. Presently, Student presents with a severe sloping upward to a slight mixed loss bilaterally. Speech recognition is excellent in both ears at slightly elevated intensities. Speech discrimination scores were 100% in both ears. Student was fitted with bilateral hearing aides in August 2007.” Given Student’s continuing hearing limitations, Ms. Whitcomb recommended 300 minutes per year of DHH consultation. 6 Ms. Whitcomb retired in June 2010, having been previously employed by the Carlsbad Unified School District, on loan to the Encinitas Unified School District through the North Costal Consortium for Special Education (the local SELPA). Ms. Whitcomb has a special education credential in DHH. She is also a credentialed speech and language pathologist, and possesses a Clinical Competence Certificate. 7 The Oralingua report was entered into evidence without objection. 25. Ms. Whitcomb was aware that Student had previously had difficulty wearing his hearing aides, and she was informed that Student was being fitted for new ear buds. She did not reassess, as Student had not yet obtained his new fittings. 26. There is no indication of disagreement or additional query regarding DHH issues at the IEP meeting. Further, Mother’s comments at the IEP meeting regarding Student’s hearing concur with the DHH report. Additionally, Ms. Whitcomb’s findings are supported by Ms. Roberts’ 2009 report, which is also considered valid. Lastly, the report from TIEE does not indicate any DHH issues, nor does it recommend any goals requiring DHH assistance. 27. An IEP is a written statement for a student with a disability that is developed, reviewed and revised in an IEP meeting. It is developed by an IEP team made up of a variety of people including school administrators, teachers, service providers, advocates, parents and others with pertinent information regarding a disabled student’s unique needs. 28. All necessary parties attended the May 10, 2010 IEP meeting. District attendees included Maria Waskin,8 the Director of Pupil and Personnel Services; Melissa Dawson, a school psychologist; Patricia Castellan, an occupational therapist; Dale Whitcomb, a DHH itinerate specialist; Chelsea Lewis, a special education teacher; Mary Stubstad, a general education teacher; and Marcy Smith, a speech and language pathologist. Margaret Davenport, the Director of Student Affairs for TIEE, Sara Frampton, an educational psychologist and Student’s advocate, and Mother attended the IEP meeting on behalf of Student. Mother was offered a copy of the Procedural Safeguards, but declined. 29. Based upon the IEP notes, the Student’s assessments were discussed first. The psychoeducational assessment and occupational therapy reports were provided to Mother in advance of the IEP meeting. Those reports, as well as the speech and language and academic assessment reports, were discussed at the IEP meeting. 8 Ms. Waskin has a B.A. in psychology and M.S. in school psychology. She holds an Administrative Credential and Professional Clear Pupil Services Credential from the State of California. As Director of Pupil Personnel Services, she is responsible for all aspects of special education programming within the District. 30. The discussion of the OT report focused on a discussion of Student’s feeding issues. In addition to the OT report, Mother provided an update indicating that Student’s appetite continued to be below that of a typical child his age. TIEE reported that, while Student’s health is generally good, he does not choose to eat independently, and his nutrition is monitored closely to ensure he takes an adequate amount of calories each day. 31. During the discussion of Student’s speech and language assessment, the IEP notes indicate that Mother reported that Student’s hearing had stabilized when using his hearing aides, and Student’s hearing was within normal range. 32. According to the IEP notes and testimony, Dr. Frampton complimented the District on the quality of the assessments, and reported that neither she nor Mother had any objections to the assessments presented. 33. The IEP team next discussed Student’s eligibility for special education and services. The IEP notes indicate that there was discussion of potential eligibility across several categories; however, the IEP team, including Mother, determined that the most appropriate eligibility category would be SLI as primary, and DHH as a secondary category of eligibility. Although Dr. Frampton testified that the IEP team did not discuss the possibility of Other Health Impairment (OHI), there is no evidence that the parties disagreed about Student’s eligibility categories. 34. The IDEA requires that an IEP include a statement of the student’s present levels of academic achievement and functioning performance. The statement must contain sufficient detail to allow the IEP team to determine the extent of the student’s abilities and special education needs. Present levels of performance (PLOP) are essential to help describe the difficulties which interfere with the student’s education so that annual goals can be developed. 35. Margaret Davenport, Director of Student Affairs at TIEE, attended the May 10 IEP meeting and testified at hearing.9 Student has attended classes at TIEE’s Cook Education Center for almost two years. The staff at TIEE prepared a six-page synopsis of Student’s PLOP’s and proposed goals. TIEE’s report begins by stating that Student is very friendly and active. He enjoys sharing his academic and social achievements in his classes, and he often praises other students for their accomplishments. During breaks, Student chooses physical activities, playing with friends or playing computer games. The IEP notes emphasize that Ms. Davenport commented that socializing with peers is a great motivator for Student. 9 Ms. Davenport was an excellent witness who provided informative and understandable testimony. Much of her testimony, however, was directed towards descriptions of the TIEE program, its philosophies and methodologies, which lacked significant relevance to the issue of the District’s offer of FAPE. 36. The TIEE PLOP’s are extremely detailed and provide information about Student’s strengths, progress, and areas of need. Ms. Davenport reported that although Student’s deficits remain, Student’s attitude toward school has improved. Student’s behaviors have improved. He is redirectable and stays on task longer. He exhibits no more avoidance, and is willing to attempt tasks. 37. The IEP notes reflect that, at Mother’s request, the District was asked to use Student’s PLOP’s as presented by TIEE. The District generally complied; however, several IEP members added additional information based upon their assessments which had been overlooked by TIEE. There were no disagreements expressed at the IEP meeting regarding Student’s PLOP’s. 38. Each IEP must include a statement of measureable annual goals designed to meet the student’s needs that result from his disability to enable him to be involved in and make progress in the general education curriculum; and meet each of the student’s other educational needs that result from his disability. In essence, annual goals are statements that describe what a student with a disability can reasonably be expected to accomplish within a 12 month period in the student’s special education program. Special education law, however, does not identify the amount of specificity that is required for IEP goals. Vague or immeasurable goals may be deficient; however, a goal is sufficient when it contains simply enough information for service providers and the IEP team to determine whether the student is making progress. 39. The IEP notes reflect that TIEE provided the District with proposed goals which were discussed at the IEP meeting. The notes indicate that although there were some alterations suggested by the IEP team, the entire IEP team, including Mother and Dr. Frampton, agreed on the goal areas. The IEP notes do not suggest that the differences in proposed goals were insurmountable. As example, the District expressed concern about a reading goal which appeared to be two goals combined into one goal. The District suggested rewriting the one goal into two goals. Ms. Davenport agreed that it could be done. The IEP notes acknowledge that the specific wording of the goals would not be completed that day at the IEP meeting in order to accommodate the scheduling needs of Dr. Frampton and Ms. Davenport. 40. Given that the goals were not completed at the IEP meeting, in the presence of Mother, Dr. Frampton, and Ms. Davenport, Student has objected to several goals not taken verbatim from the TIEE goals. Student’s witnesses negatively commented on the District goals in general. The goals of significant concern, however, appear to be Goals Five and Six. 41. The District’s Goal Five is a Behavioral Skill goal. Student’s PLOP, as reported by TIEE, indicated that he has difficulty with attention and staying on task. The annual goal to address this behavior requires that Student will remain on task or immediately return to task when given one verbal prompt in the presence of distractions in actual situations nine out of 10 occasions over a two week period of time. As explained by Ms. Dawson, Goal Five is directed toward attention and remaining on task. It also contains a speech and language component of relating to understanding and following directions when prompted to get back to work after a disruption. Dr. Frampton disagreed, and did not find Goal Five to be a sufficient behavioral goal. Dr. Frampton explained that although prompting itself is not inappropriate, prompting does not teach Student what he needs to learn. Further, the goal is too narrow. Remaining on task is only a small part of executive functioning, and nothing else is addressed. Oddly, the District’s Goal Five is nearly identical to TIEE’s Social Skill Goal Eight. 42. The District’s Goal Six is Student’s feeding goal. Student’s PLOP, again determined by TIEE, indicated that Student needs adult assistance at snack and meal times. Supervision is required to ensure that Student eat his food and consume sufficient calories. Student gets a snack independently and eats it during scheduled snack time nine out of 10 occasions when with his regular teachers. When with teachers who are unfamiliar with his snack procedure, he follows his snack procedure six out of 10 times. He tells unfamiliar teachers he is not hungry. The annual goal is for Student to eat a designated portion of his lunch with an unfamiliar teacher within the 30-minute lunch period with two or fewer prompts five out of five occasions. The goal does not include a specific behavior plan to ensure that Student eats. 43. Mother contends that the May 10 IEP fails to adequately address Student’s feeding issue. Although she did not express disagreement regarding the assessment results or Student’s PLOP’s at the IEP meeting, she testified that you cannot “just watch” Student, he needs behavior modifications, as the feeding issue is neurologically based. Ms. Roberts contends that the feeding goal does not address the difficulties of eating, and Student should be supervised by a SLP or an OT certified in feeding issues. 44. TIEE’s Goal Eleven regarding feeding is considered a Social Skills goal. TIEE’s goal is more expansive, as it strives for Student to independently select and eat his snacks. Other than writing down what he ate in his daily food journal, TIEE’s goal contains no specific behavior plan. 45. Ms. Roberts had additional concerns regarding the District’s other speech and language goals. She commented that Goal Seven, addressing expressive language word finding difficulties, was a good goal, but poorly written. Goal Eight, addressing expressive language and self-advocating, was similar to TIEE’s Speech Goal Seven; however, the District did not specify “self-advocacy.” She believed Goal Nine was set too low, and Student has already completed the goal. She did not understand Goal Ten. Goal Eleven contained too much for Student and needed to be divided into two goals. Further, she did not believe Student is ready for the concept of inferencing. Finally, Ms. Roberts reported that Goal Twelve contained a lot, and was too advanced for Student based upon his PLOP. 46. Ms. Davenport, who presented TIEE’s proposed goals to the IEP team, provided the most neutral insights regarding the goals. TIEE provided the IEP team with written proposals regarding both PLOP and goals for their review prior to the IEP meeting. Ms. Davenport recalled that at the meeting, the IEP team compared goals. Some of TIEE’s goals were accepted, as were some of the District’s goals. Ms. Davenport indicated that the District’s goals covered the same areas of Student’s individual needs, but approached the goals from different perspectives, using different methodologies, and different ways of measuring and generalizing. Ms. Davenport refrained from condemning the goals by emphasizing that she could not judge the May 10 IEP without knowing about the specific teaching environment and teacher skills. She could only comment on the goals as they would be implemented at TIEE. The TIEE goals had been designed for implementation at TIEE. 47. The evidence regarding the parties’ discussion of LRE comes directly from Student’s partial transcript of the IEP meeting. Even without sound or visuals, it is clear that this portion of the IEP meeting was lethally acrimonious. 48. School districts are required to provide each special education student with a program in the least restrictive environment. A special education student must be educated with non-disabled peers “to the maximum extent appropriate,” and may be removed from the general education environment only when the nature or severity of the student’s disabilities is such that education in general education classes with the use of supplementary aids and services cannot be achieved satisfactorily. 49. Ms. Waskin, as the leader of the IEP team, attempted to commence a discussion of LRE, by introducing the topic of mainstreaming opportunities available which might be appropriate for Student. Given that the assessment data and PLOP’s indicated that Student is very social and likes being with other kids, Ms. Waskin inquired of the others as to what might be appropriate mainstreaming for Student. Mother stated Student was not ready for mainstreaming, based upon the information provided by Ms. Davenport. Dr. Frampton added that the IEP team needed to respect the input from TIEE, since they had been involved with Student for an entire year, and provided him with a good and comprehensive program, to which he has responded well. Dr. Frampton expressed her agreement with Ms. Davenport by stating that Student had emerging skills which needed to solidify before attempting mainstreaming. As such, she expressed her belief that it was premature to discuss mainstreaming at this IEP meeting. They both indicated that mainstreaming would be more appropriately discussed in September 2010. 51. Although Mother’s emotions escalated as she believed her opinion was being ignored, Ms. Waskin tried to explain that in determining LRE, the IEP team needed to look at a continuum of services. She indicated that the IEP team typically started at the least restrictive continuum and then see at what point (we) can provide the services the child needs. The team would keep going down the continuum until (we) get to the restrictiveness or the type of program the child has. The IEP team had little discussion on general education with supports. The team then considered the Learning Resource Center for support and mainstreaming for the remainder of the day. Mother’s input was, “No;” however, Dr. Frampton brought up several well-founded questions regarding these placement options. 52. Potential placement in an SDC was next on the continuum. Ms. Waskin stated that the District had two SDC options, one at Olivenhein Pioneer Elementary School (OPE), the other at Flora Vista Elementary School (Flora Vista). Before the team could discuss the SDC’s, Mother again expressed her dissatisfaction. Again, Dr. Frampton asked relevant questions regarding curriculum and mainstreaming time, and her questions were answered. 54. Mother again adamantly expressed her insistence on TIEE. Student had a terrible time in the District’s first grade classroom. Since placed at TIEE, Student has made progress. So, in Mother’s opinion, why would she want to move him, when Ms. Davenport says he not ready to transition back to a public school placement. Mother reiterated that she would not move Student from TIEE until Ms. Davenport said he was ready. 55. Mother and Dr. Frampton chose to leave the IEP meeting at that time, although the IEP had not been completed and no offer of placement had been made. Mother was convinced that the District had already decided to place Student in the SDC at OPE. Dr. Frampton opined the IEP meeting was really a monolog presented by Ms. Waskin. Further, since the IEP team would not affirmatively discuss TIEE, there was no real participation in the IEP meeting. This is unsupported by the evidence, as several other IEP team members attempted to initiate discussion about Student’s strong social skills, and concerns that TIEE was overly restrictive. Another member sought information about mainstreaming possibilities at TIEE. 56. In her testimony, Mother explained additional reasons for her rejection of mainstreaming. Mother indicated that Student does not have the language skills for participation in general education. He has difficulty following directions, which results in negative behaviors. On the playground, Student is insecure and anxious. Further, many of his social weaknesses are related to neurological issues, such as defiance, anxiety, and selfregulation. These behaviors still result in fights and ostracism on the playground, which Mother considers devastating to Student. Student desperately wants to be social, but does not have good social skills yet. Anything out of the ordinary increases Student’s anxiety level. 57. Ms. Waskin informed Mother and Dr. Frampton that the IEP meeting would continue in their absence in order to complete the IEP. The IEP meeting continued without Mother and Dr. Frampton. The IEP notes indicate that special factors, services, settings, accommodations, transportation were discussed and added to the IEP. The notes further indicate that the IEP team discussed the relative merits of offering placement at TIEE, but felt it would not be a FAPE in the LRE. The IEP team finally determined that a general education classroom for core curriculum subjects and speech and language would be inappropriate. The IEP team selected the SDC setting because Student required small group instruction with opportunities for repeated practice and reteaching. Mainstreaming opportunities for Student would include physical education, art, music, field trips and supported science and social studies. 58. While the IEP team determined that Student would be mainstreamed for 25% of the school day, the IEP team did not offer a 1:1 aid during Student’s time in general education activities. Student does not have an educational aide at TIEE. Ms. Davenport testified that Student is usually accompanied by an adult when going from class to class. She further indicated that, if told to go to a destination without accompaniment, Student would probably get there, but not quickly and not directly. Ms. Dawson testified that Student’s behavior did not require an educational aide. She did acknowledge he might need the assistance of a room aide while mainstreaming. 59. A placement decision is a determination of where a district will implement a student’s IEP in the least restrictive environment. An IEP must be capable of being delivered in the placement. The placement offer must be in writing, consistent with the IDEA’s requirement of prior written notice. 60. The TIEE report presented by Ms. Davenport indicated that Student requires highly structured classes with few distractions. At TIEE he is grouped with 1-2 students for all academic classes. He is required to respond frequently and needs a high rate of specific praise and positive reinforcement for correct responses. He needs to be provided opportunities to practice new skills as well as systematic review of previously learned skills. TIEE reports that Student’s classes are arranged so that Student is highly successful, making an average of 80% correct responses. TIEE, however, currently has no opportunities for typical peer interaction. 61. Ms. Roberts opined in her assessment report that in order to perform successfully in school, Student should be in an academic/therapeutic environment that can provide intensive language instruction throughout the day, where all instruction is geared toward improving his speech and language skills, and where feeding support is provided daily. 62. Ms. Dawson indicated that the IEP team believed Student has good social skills and gross motor skills. He needs mainstreaming to increase his speech and language skills and provide typical peer models. The TIEE environment is too restrictive, and Student does not have the severity of needs represented there. Further, Student’s behaviors would not interfere with mainstreaming. At the time of the IEP meeting, Student had no demonstrated need even for a behavior plan. His behavior could be addressed with accommodations. Further, she considered the District’s goals to be appropriate and based on Student’s PLOPs. Student would benefit from the SDC class and IEP program created by the IEP team. 63. Maria Waskin, described the District’s SDC’s. The District has two SDC programs, and the IEP team decided that the SDC at Flora Vista would be good for Student. The SDC at Flora Vista is small and highly structured, with targeted instruction. As Student’s PLOP’s suggest that Student has significantly impacted language skills, the IEP team determined that Student requires strong language programs and language models. Ms. Waskin commented that there is good interaction between the students in the SDC and activities with typical peers, such as “buddy” programs. Further, Flora Vista is welcoming to special education kids. Ms. Waskin also reported that the SLP at Flora Vista had experience with apraxia and severely impacted speech. She also has a background in feeding issues. 64. Tabitha McCoy-Locke,10 the SDC teacher at Flora Vista, also described the SDC. Although this is Ms. Locke’s first year as a teacher, she proved to be an informative and excellent witness in describing her SDC and other DIS services at Flora Vista. The SDC is a second, third and fourth grade class. Currently there is a ratio of nine children to three aides and one teacher in her SDC. The SDC is a multi-sensory, language-based classroom located across the hall from the library and media center. Ms. Locke reviewed the information provided by TIEE, and believes her classroom environment is appropriate, and Student will learn in her class. She also went over the proposed IEP goals, indicated that each goal could be implemented in the SDC and described how she could work with staff and other service providers. 65. The IEP notes also reflected that the IEP team considered the SDC at Flora Vista instead of OPE because the design of the space more easily allows for 1:1 or 1:2 instruction in a quiet and distraction free environment. The room is large, with partitioned areas and an adjacent pod for breakout group sessions. 66. Ms. Waskin sent the completed IEP to Student’s parents on May 20, 2010. The cover letter indicates that the IEP offer of placement is the 2nd/3rd grade SDC at Flora Vista, which the District considered the LRE. The letter invited Mother to visit the Flora Vista site to observe the SDC. Additionally, the letter indicated a hope that Mother would agree to reconvene the IEP to discuss any additional concerns she might have. 67. In her response on June 6, 2010, Mother indicated that she did not believe the Flora Vista SDC existed, and therefore she could not observe it. She also erroneously indicated that Flora Vista was not mentioned at the May 10, 2010 IEP meeting. Consequently, she reported that Student would remain at TIEE. Ms. Waskin and Mother continued to exchange emails regarding the existence of the Flora Vista placement. 68. Ultimately, Mother declined to observe the SDC until September 2010, and she remains committed to TIEE. 10 Ms. McCoy-Locke is currently working on her master’s degree in special education. She possesses a Level 1 Educational Specialist Credential for Mild-Moderate Disabilities. She currently teaches a special education class for students with multiple disabilities. 1. In a special education administrative due process proceeding, the party seeking relief has the burden of proving the essential elements of his claim. (Schaffer v. Weast (2005) 546 U.S. 49 [126 S.Ct. 528, 163 L.Ed.2d 387].) In this case, the District has the burden of proof. 2. A child with a disability has the right to a free appropriate public education (FAPE) under the Individuals with Disabilities Education Act (IDEA or Act) and California law. (20 U.S.C. § 1412(a)(1)(A); Ed. Code, § 56000.) The Individuals with Disabilities Education Improvement Act of 2004 (IDEIA), effective July 1, 2005, amended and reauthorized the IDEA. The California Education Code was amended, effective October 7, 2005, in response to the IDEA. The primary goal of the IDEA is to “ensure that all children with disabilities have available to them a free appropriate public education that emphasizes public education and related services.” (20 U.S.C. § 1400(d)(1)(A); see J.L. v. Mercer Island School District (9th Cir. 2009) 575 F.3d 1025, 1033 (Mercer Island).) This special education administrative due process proceeding is brought under the authority of the IDEA. 3. Under special education law, the parent of a disabled child has the right to present an administrative complaint with respect to any matter relating to the identification, evaluation, or educational placement of the child, or the provision of a FAPE. (20 U.S.C. § 1415(b)(6)(A); 34 C.F.R. § 300.507(a)(2006); Ed. Code, § 56501, subd. (a)(1)-(4).) Within those limited parameters, OAH has the authority to hear and decide the District’s issue of provision of FAPE. 10. Both the amount and type of goals that an IEP team is required to provide depends on the student’s identified needs. An IEP is not defective merely because it fails to include special education goals requested by the parents if those goals are not necessary for the child to receive a FAPE. The standard is whether the goals were reasonably calculated to provide educational benefit. 15. Generally a placement is deemed more restrictive the less it resembles a regular classroom environment. The regular educational environment encompasses regular classrooms and other settings in schools such as lunchrooms and playgrounds in which children without disabilities participate. (Analysis of Comments and Changes to 2006 IDEA Part B Regulations, 71 Fed. Reg. 46585 (2006); 34 C.F.R. § 300.117 (2006).) The LRE begins in the regular classroom and placements become progressively more restrictive as one moves along the spectrum. 16. In determining the placement of a student with a disability, a school district must ensure that the decision is made by a group of persons, including the parents, and other persons knowledgeable about the child, the meaning of the evaluation data, and the placement options. Further, the placement decision must be made in conformity with LRE provisions of the IDEA and Code of Federal Regulations, including title 34 Code of Federal Regulations, sections 300.114 through 300.118. 17. An IEP must also include an explanation of the extent, if any, to which the student will NOT participate with nondisabled students in the regular class and in activities with nondisabled peers. (34 C.F.R. § 300.320 (a)(2006).) As with other components of the IEP, the decision to remove the student from the general education environment for all or part of the school day must be based upon the student’s unique needs. 18. A placement decision is a determination of where a district will implement a student’s IEP in the least restrictive environment. An IEP must be capable of being delivered in the placement. Therefore, school districts must formulate the IEP before making a placement decision. (34 C.F.R. §300.116 (b)(2)(2006).) Further, the placement is not defined by the location where the IEP will be delivered. 27. Student contends that the District failed to provide a DHH reassessment. California law provides that a reassessment of a student shall be conducted if it is determined that the educational or related service needs, including improved academic achievement and functional performance of the student, warrant a reassessment, or if the student’s parent or teacher request one. Further the District is obligated to reassess a student no less than once every three years, unless agreed otherwise. (Legal Conclusion 7.) The District did not find it necessary to reassess Student, as he had been assessed in 2009, and it remains undisputed that the testing results were still valid at the time of the IEP meeting. (Factual Findings 23-25.) Mother did not request a DHH assessment. Rather, she did not wish Student to be assessed at all. (Factual Finding 6.) Ms. Whitcomb was aware that Student’s hearing aides were being modified; however, she did not reassess Student as the modifications had not been completed as of the IEP meeting. (Factual Finding 25.) Given that Student is hearing impaired and requires hearing aides to attain a normal hearing range, a DHH assessment might have been a “best practice;” however, it is not a fatal flaw in the IEP. The information contained in the DHH report is accurate, and was supported by information provided by Mother and Ms. Roberts. (Factual Finding 26.) The District was not required to administer a DHH reassessment. 30. Admittedly, Student’s feeding goal is somewhat of an anomaly. The purpose of the feeding goal was to ensure that Student consumes a requisite number of calories during the school day. At times, Student will avoid eating, and therefore requires monitoring. Student’s assessments in both speech and language and in occupational therapy explored Student’s feeding issues, and identified contributing factors to this avoidance, including physical malformations of the mouth, and sensory issues. Neither recommended an educational remedy for this situation. The conclusion reached by all, including Ms. Roberts, indicated that, while at school, Student should be given frequent breaks to have snacks and have additional time for snacks and lunch to ensure he has enough time to complete his meals. Further, given Student’s propensity for eating avoidance and hiding food, Student required monitoring during meals to ensure his compliance. (Factual Findings 17, 18, 21, 42-45.) Mother’s concern that the goal requires a behavior plan is well taken; however, the evidence supports the District’s conclusion that Student was capable of eating and was compliant during several observations. (Factual Finding 18.) The eating goal was sufficient. 33. Inclusion in lesser restrictive environment is not required in situations where the student will not receive a sufficient educational benefit from such placement. The question is, “Did Student’s need for intensive special education services outweigh his need to interact with typically developing peers?” The answer is “No.” As of May 2010, Ms. Davenport and Dr. Frampton were both uncomfortable with the fragile status of Student’s social and behavioral skills, believing those newly obtained skills needed additional time to solidify. Both indicated that consideration of mainstreaming would be more appropriate in September 2010, precisely when the mainstreaming would commence at Flora Vista. (Factual Finding 49.) The evidence overwhelmingly supports the District’s inclusion of mainstreaming activities as the LRE component. There is no disagreement that Student presents as a physically active and very social child who likes to interact with other children. His receptive and expressive language deficits would be well served by interaction with typical peer role models. At the time of the IEP and observations, Student presented with no significant behavioral problems which would interfere with his participation in mainstreaming activities or disrupt the activities for other students. 40. Based upon all of the forgoing, the District has met its burden of proof, and it is determined that the May 10, 2010 IEP offered Student a free appropriate public education. The District’s request is granted. The May 10, 2010 IEP offered Student a free appropriate public education.